Do you have unwanted items, or what you might call ‘junk‘, piling up at your home or place of business in Largo, FL? If you do, then you are probably wondering what your best options are, if any, to getting rid of all this junk. 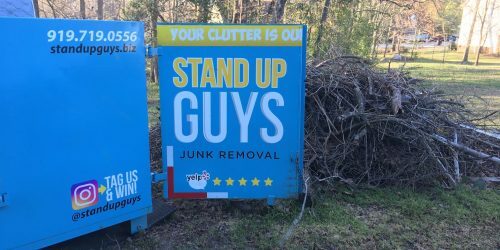 Well, for those of you who live in Largo, the answer is simple; The Junk Bucket! 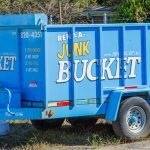 The Junk Bucket is the number one dumpster for homeowners and business owners in Largo. The Junk Bucket is perfect for any junkie situation. 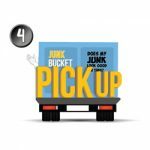 Whether you have furniture, appliances, trash or yard debris, you can chuck it all away with a Junk Bucket. Junk Bucket dumpsters are perfect for those of you that like to take your time with your projects as well. 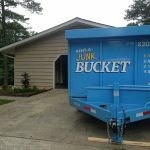 We can rent a Junk Bucket to you for as long as your heart desires, or as long as it takes for you to get rid of all your unwanted items. 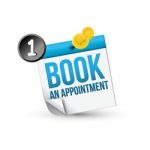 For those of you that work fast, we have one day rentals as well. We cater to everyone! 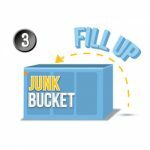 Renting a Junk Bucket to get rid of your unwanted junk is simple. 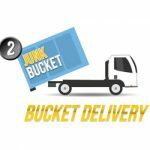 First, all you need to do is pick up the phone, or book your Junk Bucket Rental online. Once you have a time set to have your Bucket dropped off, you’re good to go. It’s as simple as we drop it off when and where you like, and we haul it away once you have finished with it. Then you can watch as all your junk disappears. 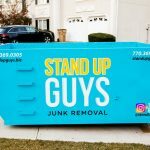 The Stand Up Guys deliver Junk Bucket Dumpsters all over Largo and the surrounding areas. Largo is a large city, third largest in all of Pinellas County to be exact, but we still cater everywhere, and to everyone in Largo. From the Largo Library to Ulmer Park and everywhere in between. Largo is a wonderful city that has been around for quite some time. Largo saw rapid growth in the 1960’s during the Arms Race after WWII, when several electronic companies helped to boost the economy. The population of Largo in the ’60s grew over 15,000. Now that’s a lot of people. Word got out that Largo was such a great place to live and work. With that the population grew more and more and by 2005 there were 70,000 people calling Largo home. That’s a growth of 65,000 people in 40 years. Says a lot about the area.